Hotel Park is situated near the very center of Čakovec, opposite the beautifully cultivated park Zrinski which includes the old castle “Stari grad”, the town symbol. 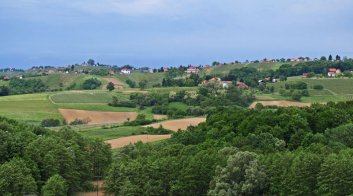 The town of Čakovec is situated near the Slovenian and Hungarian borders, which makes it a welcome rest stop for transit passengers. The center of the town, as well as the bus and the train station, are just a couple of minutes of a light stroll from the hotel. 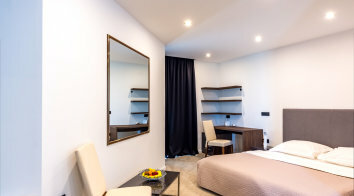 The rooms (single, double, triple rooms and luxury apartmens) are all functionally furnished – separate bathroom, cable TV, telephone and free wireless internet access. In close proximity of the hotel, there are a number of businesses, including a bank, an exchange office, a grocery shop, a bakery, pharmacy, and across the hotel, there is a casino and bar with a beautiful view of the park and fountain. Čakovec city pools city with adventure park and mini-golf course, one of the most beautiful and frequented indoor pools in Croatia, are a 10 minute walk away.